I became a mother a few months ago and have since developed a new-found appreciation for sleep. Uninterrupted, quality, blissful sleep. I miss it so much. Today let us discuss sleep in Mandarin together. 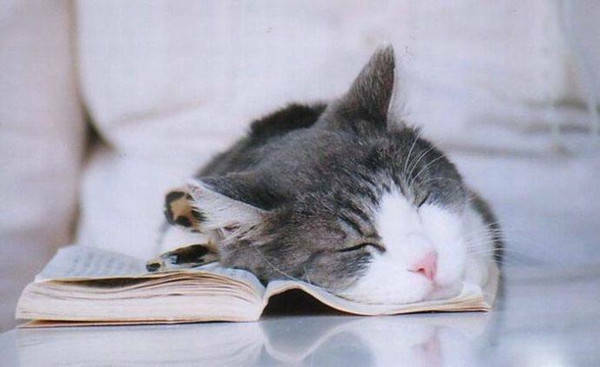 Whether we obtain it or not, quality shut-eye is generally recognized across all cultures as essential for good health. Today, we are going to talk about the culture and the habit of sleeping in China. You will also learn how to phrases in Chinese related to this topic. 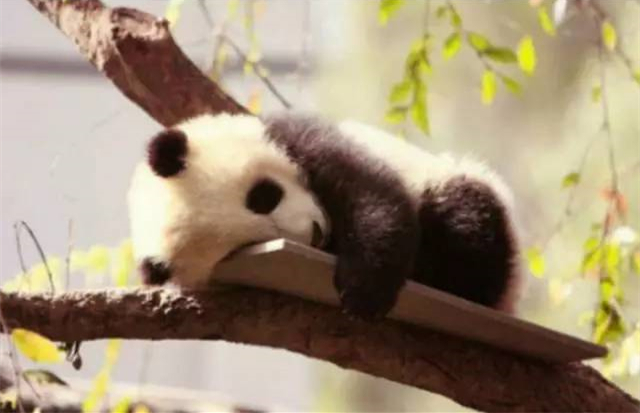 Traditional Chinese Medicine promotes sleeping according to the natural rhythm of the seasons, with more sleep during winter and less in summer. Of course, in today’s China life is busy and work is non-stop for many. Few employers are going to accept staff turning up late for a few months just because it’s wintry and cold outside. One sleep tradition in China has lasted, however. It’s the post-lunch nap. In offices across the country it’s not uncommon to see a large proportion of Chinese staff at their desks after lunch, heads down and dozing. 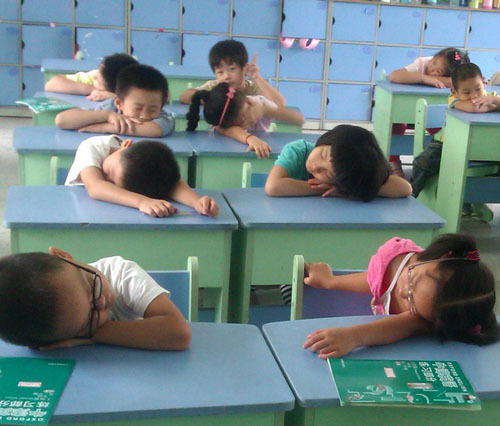 Children at grade school in China take naps at their desks, students at universities go back to their dorms. It’s just a habit continues into the workplace. Students sleeping in the classroom. The first time I saw this in an office, I honestly didn’t know whether to feel impressed or horrified that such conspicuous napping was accepted. You can see why it works though: a quick catnap falls in line with the natural post-lunch lull and serves to boost the afternoon’s productivity. Maybe we should all embrace this practice. Yes, I slept well, thank you! Zuó wǎn wǒ shuìde bù hao. Wǒ zhǐ shuìle sìgè xiǎoshí. Kùn sǐ le. I only got 4 hours sleep. I’m exhausted. Wǒ jiù qù xiǎoshuì yīhuì’r. I’m just going to take a nap. Wǒ de Zhōngguó tóngshìmen chángcháng wǔfàn hòu wǔshuì. My Chinese co-workers often nap after lunch. Wǒ hěn kùn. Wǒ qù mǎi yìbēi kāfēi. I’m sleepy. I’m going to buy a cup of coffee. Wǒ bǎ nàozhōng shědào zǎoshang liù diǎn. I set my alarm clock for 6am. Wǒ yǒu shíchā. shuì bù zháo! I have jet-lag. I can’t sleep!